Celebrate: Poetry, Questioning and History! I’m celebrating the week with Ruth Ayres and friends. I love this weekly ritual that looks to find those moments every week to hold up, savor and celebrate. Thank you Ruth for orchestrating this. Read more celebration link ups here. 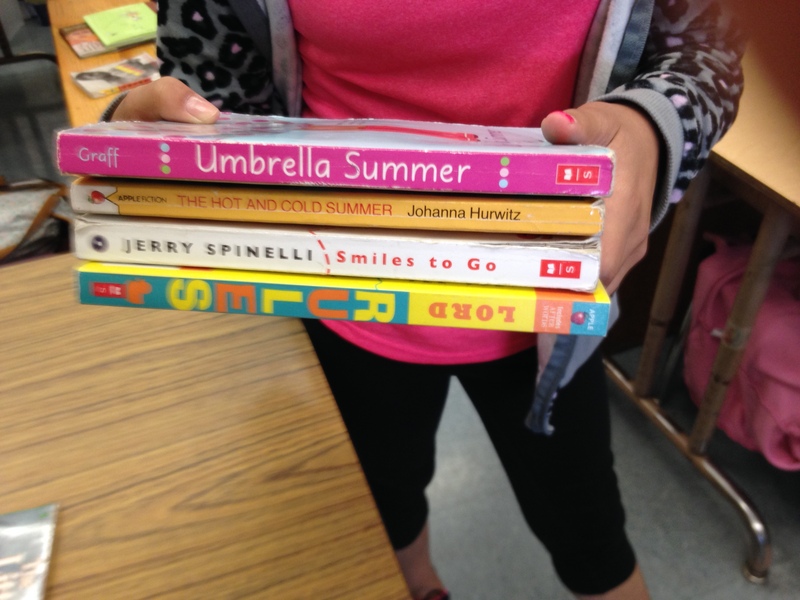 First: We did spine poetry! My kiddos tore my library apart looking for ways to put different combinations together. I celebrate my students enthusiasm and my wonderful library. It is a well used place. An unexpected outcome of this work was when students found books to take and read! Two: We continued questioning. I blogged about our first steps toward learning to question here. Students took it further this week by talking about open- and closed-ended questions. We talked about the advantages and disadvantages. Students categorized the questions they had, and changed open-ended questions to closed and closed to open. Closed-ended questions are quick, easy but they don’t make you think. Yeah, they aren’t good for common core. Interesting take aways. The fact that they not only got what they were, but they could see the advantages and disadvantages and manipulated them, blew me away. We think this could change this. 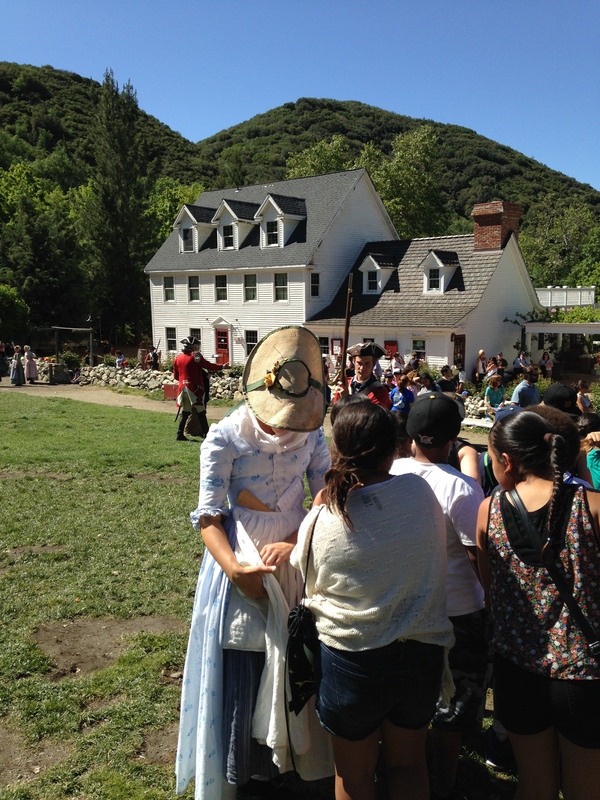 Four and a lot more: We took a field trip to Riley’s Farm, a working farm and at times a colonial village. It was a two and a half hour drive, by bus in 95 degree heat, BUT that didn’t matter. 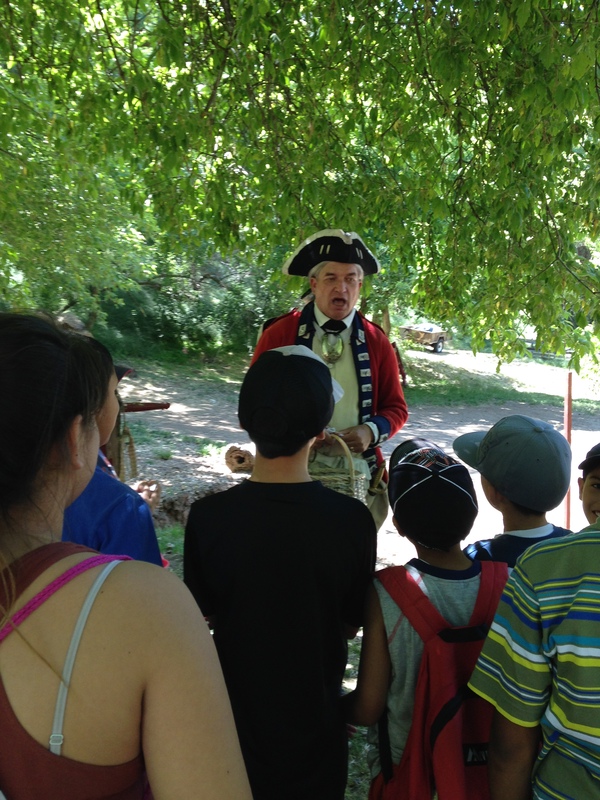 Students were so engaged in life during colonial times. 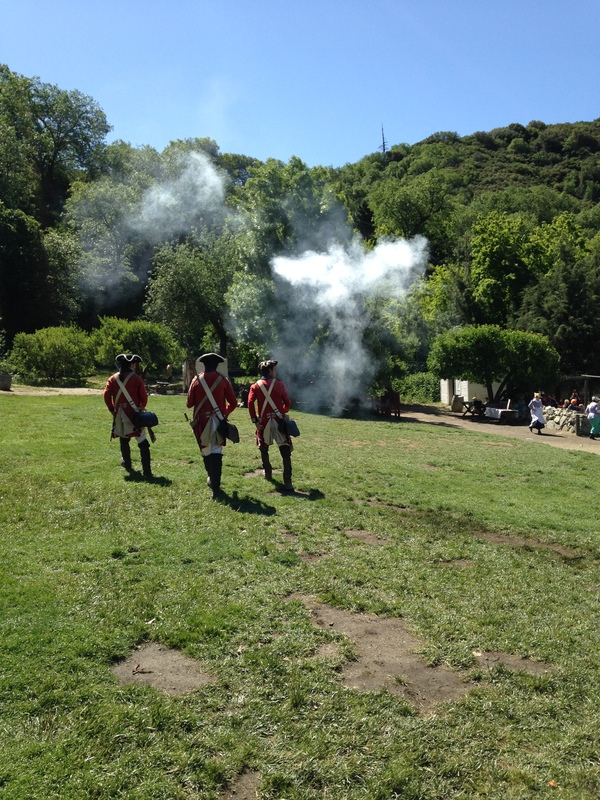 The actors took them back in time to the 18th century. It was worth every minute of the drive! Love the spine poetry. I think this would be a great idea the last week of school as we are sorting and reorganizing our library be fore we leave. Don’t you just love it when they beyond our expectations! Wonderful field trip too even if it was a long day! Have a great weekend, Julieanne! As I read your celebrations, the word echoing in my mind was engagement. Such active learning when so many classes start to step away from deep learning this time of year. What a great week for you and your kids! 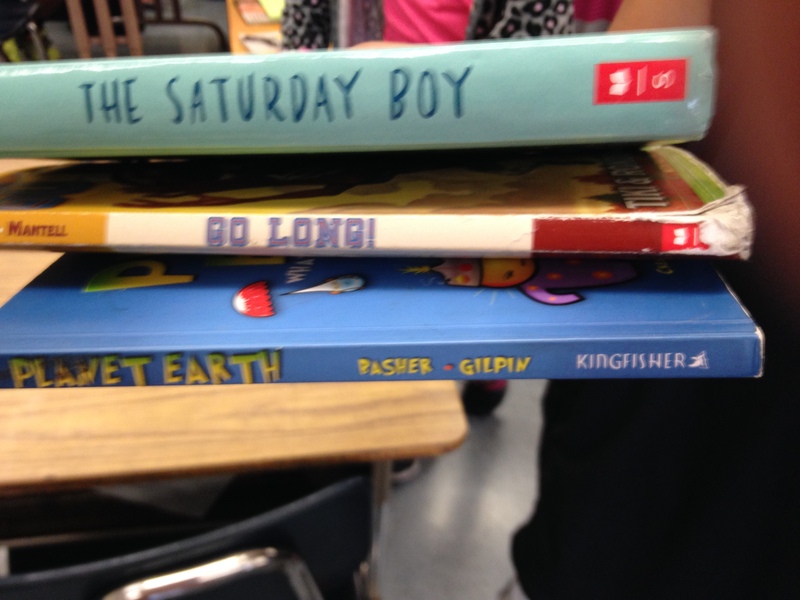 The spine poetry is a great way (as you said) to get students to browse, helps them look at a book again that they may pass over. Sounds like a wonderful week, Julieanne, filled with learning and questioning, which probably added to the trip’s pleasure too. Looks like a grand time to me! I am so excited that you shared the link to your other post about asking questions! I found it so inspiring. Off to make more coffee and coming back to read it again. 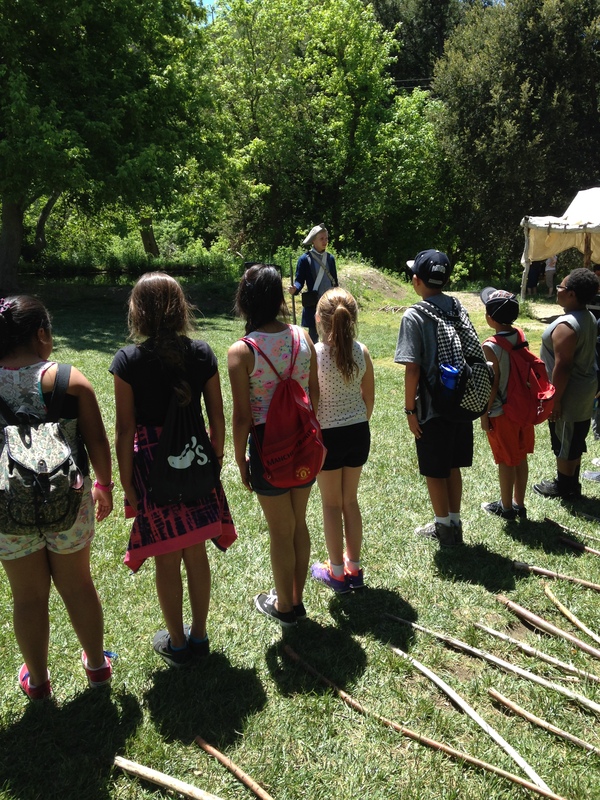 The field trip looks like lots of fun and much, much learning! 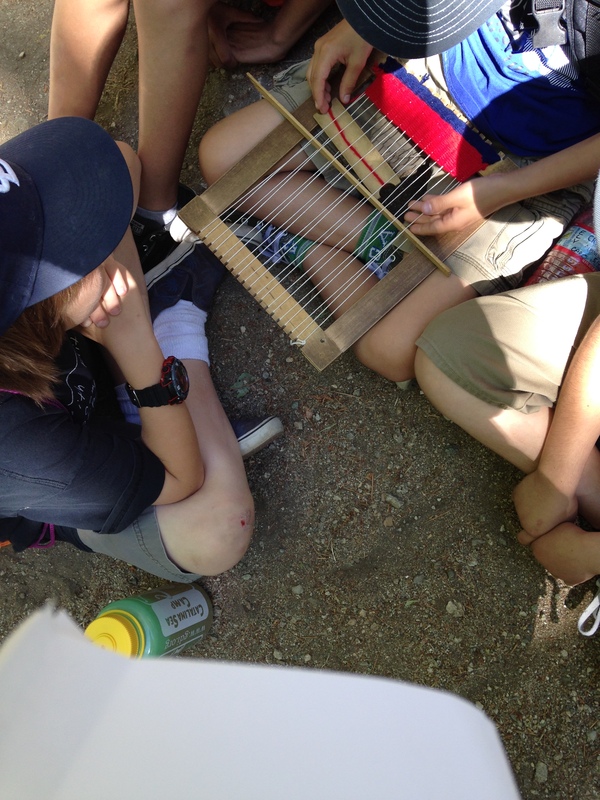 An exciting field trip and engaged learners! You’ve given me some ideas for next week. Off to read the post about questioning. So much learning going on here! The fielstrip looked especially interesting and engaging! What a great celebration today! I like hearing about how you are taking the time to generate questions and think about them with your students. In working with teachers using technology in their classrooms, I’ve noticed that we still need to remember to take the time to talk to kids about what they might want to research, what they might type in, what would really be valuable to learn and share with others. It’s so fascinating to really listen to what they kids think! 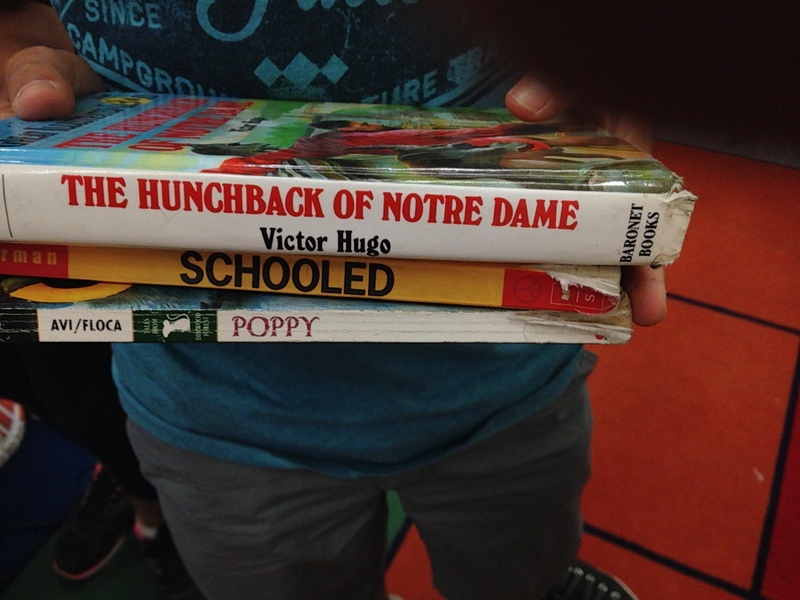 Love the spine poetry — what a great idea. We have never heard of that before. Sounds like a lot to celebrate this week. So much energy in the learning and in the celebration. I hope that this week will bring more questions and poems. 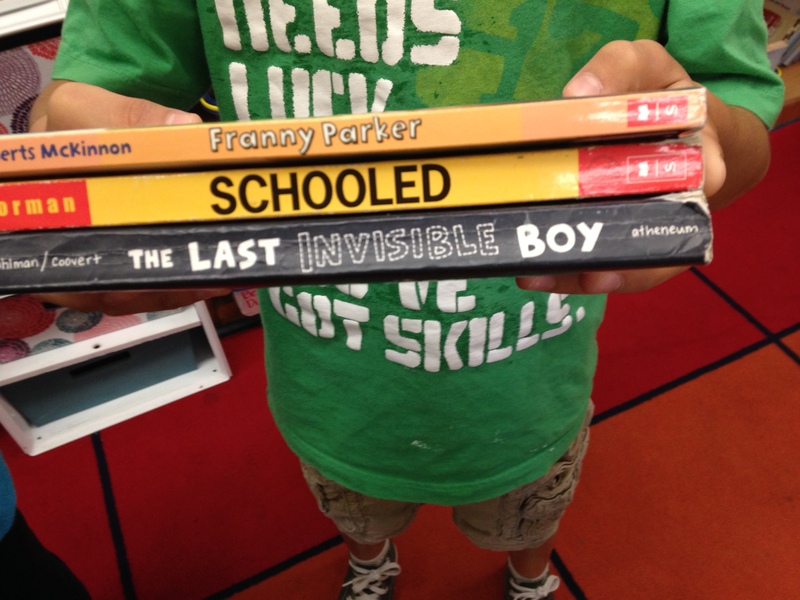 I love the use of Schooled in the spine poetry!